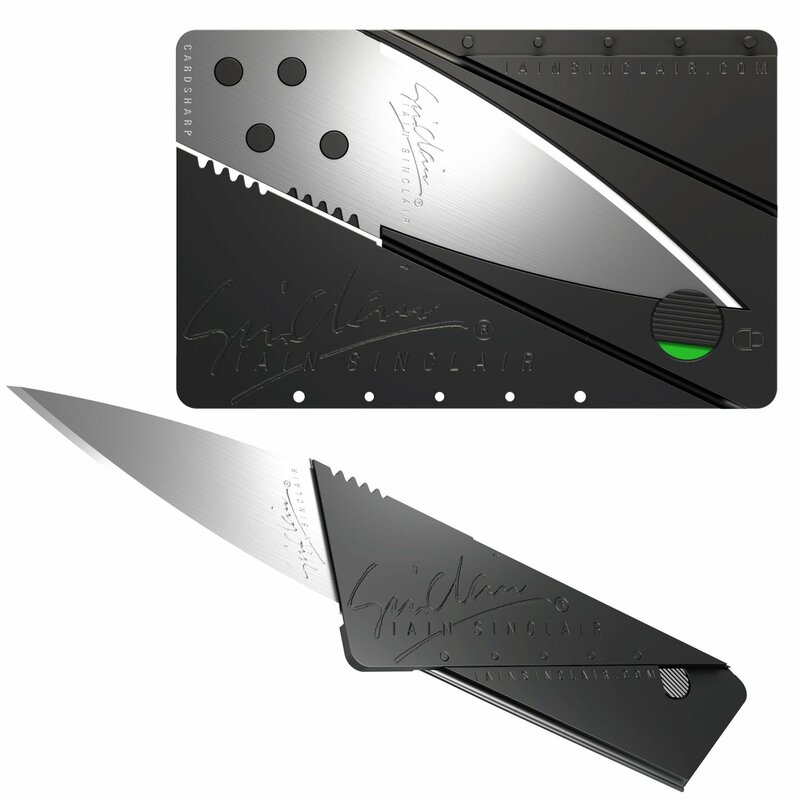 The foldable Iain Sinclair Cardsharp2 is currently being offered for only $3.13 shipped, today only, originally priced at $19.99. This version uses improved construction with a three-stage, child-proof Zytel safety lock that prevents accidental opening and gives the knife excellent rigidity in both open and closed positions. Product page. Continue reading for more images and information.The Zytel rivet on the Iain Sinclair Charsharp2 Knife secures the blade to the body. Just three ingenious folding operations turn the card into an elegant pocket utility tool. Less bulky than a pocket knife and as sharp as a scalpel, the Iain Sinclair Cardsharp Credit Card Knife goes everywhere. More information.